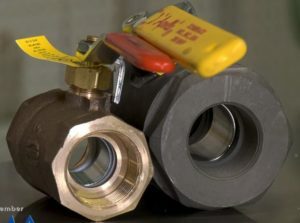 Different types of valves we use in boiler room here are some example. All these valves have the application in the purpose for controlling and isolation or creating backflow on a process. We use these types of valves for different purpose. we use instream flow, water flow, gas flow and many different types of water shut off valve. in these types of valves, you can find him everywhere in industries. 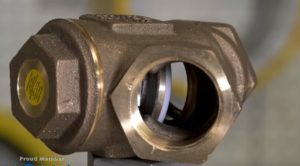 Ball valves are typically an isolation types of valves. They can be used in control valve application with the actuator. you can be considered as a quick open valve. The first one is brass ball valve and the second is carbon steel ball valve and these are quick core return isolation valves. You can see these valve on blow downline in the boiler. 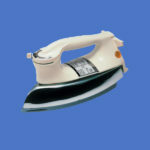 we also use in natural gas, or water flow and in the steam side flow. 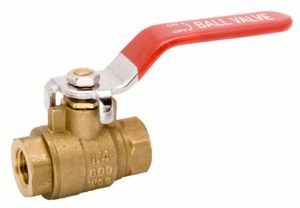 These are actually steam rated ball valve we use in everywhere for quick isolation. 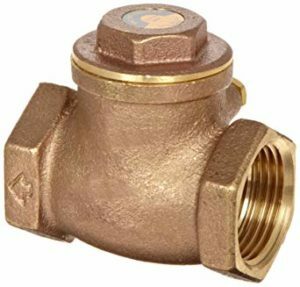 Why the carbon steel valve is different from the brass valve? 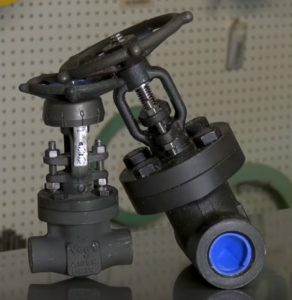 You can see the material here between these two valves one is thicker than the other. 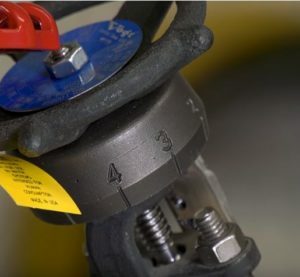 Material and pressure rating tell you which valve you can use. Carbon steel valve is marginally higher than the brass valve. 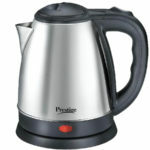 Typically this rated up to 1000 pound steam and brass valve rated up to 200-pound steam only. They also have a steam rating, water rating and gas rating. Different other things that based on temperature and pressure what the valve is rated for. And some of these type of valves only manufacture according to pressure and temperature. 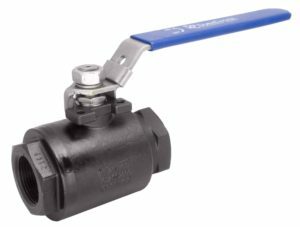 The ball valve is a quick opening so it is used as blow down situation. 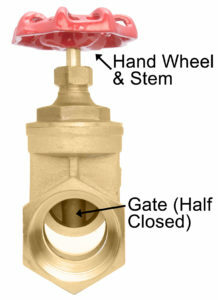 The gate valve is slow to open valve we can use a gate valve in blow down as well but typically we are not used because they are a slow opening valve. The globe valve look alike the gate valve but the inside function is different. The globe valve is mainly for flow control they actually have a disk in then they raise up and down and most of them are a set seat. Its basically like throttling valve you can control the flow come out by using a scale on it. They are very different from the gate valve. 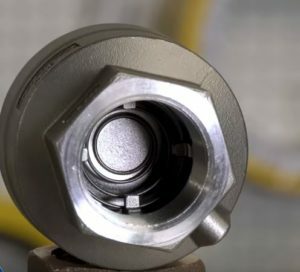 Here is three type of check valve you can see below. Swing check valve which has a flat pin in it to prevent backflow. The check valve ensures that the flow will only go one way through the valve. Swing checks very economically types of valves for this. they have to be managed in a certain way because the pin is swing inside the valve. The second check valve is the swing valve. It has spring against the seat. You can mount this in a different direction. That is actually used in stream gas flow and water flow. The third is Inline check valve this actually have a spring against the flow direction. if the flow went through one way the spring hold it and didn’t allow to flow back. So this is another way to know the direction.